The battery and charger are included as standard. The SGT 24 AE Grass Trimmer is lightweight and ergonomic. It's versatile and easy to use and you'll have no bother of a mains cable snagging in plants or furniture. 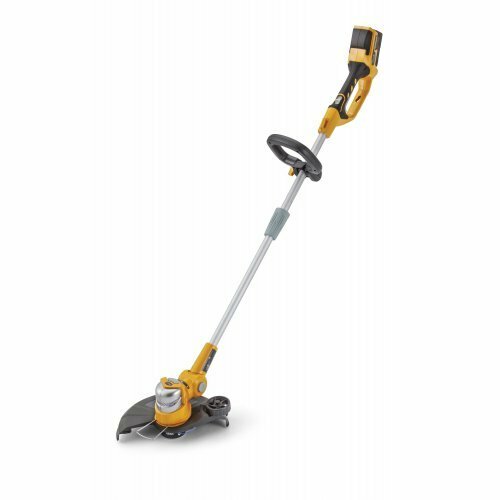 With a working width of 25-30cm and featuring strimmer wheel and automatic Tap & Go head, this grass trimmer with easy push button start will suit all gardeners. Simply stop and restart the trimmer to automatically feed out more line. With up to 25 minutes typical run time on a single charge of the 4Ah battery, this is plenty for most gardens.